Binge is about my love for food. I am definitely what you call a “Food lover”. 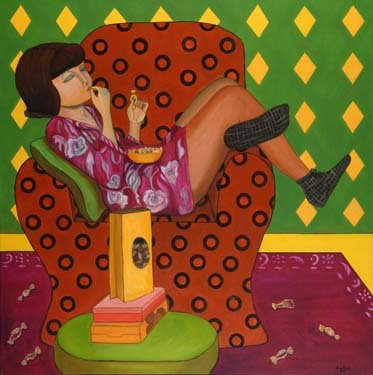 I also have quite an appetite for candies and sweets, my cravings for sweets usually happens around midnight hence the painting portrays me in my house coat and comfortable booties indulging before bedtime.